The collapse of communism and the process of state building that ensued in the 1990s have highlighted the existence of significant minorities in many European states, particularly in Central Europe. In this context, the growing plight of Europe’s biggest minority, the Roma (Gypsies), has been particularly salient. Traditionally dispersed, possessing few resources and devoid of a common “kin state” to protect their interests, the Roma have often suffered from widespread exclusion and institutionalized discrimination. Politically underrepresented and lacking popular support amongst the wider populations of their host countries, the Roma have consequently become one of Europe’s greatest “losers” in the transition towards democracy. 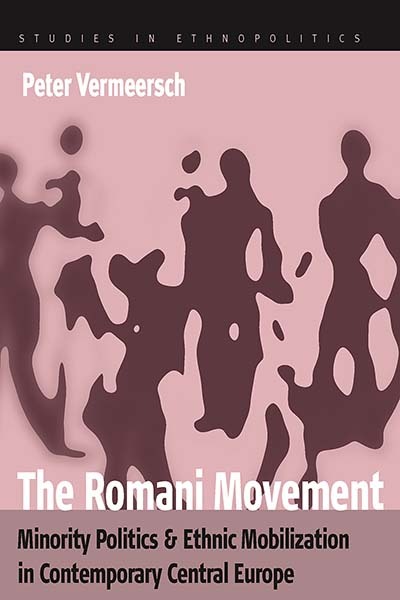 Against this background, the author examines the recent attempts of the Roma in Central Europe and their supporters to form a political movement and to influence domestic and international politics. On the basis of first-hand observation and interviews with activists and politicians in the Czech Republic, Hungary and Slovakia, he analyzes connections between the evolving state policies towards the Roma and the recent history of Romani mobilization. In order to reach a better understanding of the movement’s dynamics at work, the author explores a number of theories commonly applied to the study of social movements and collective action. Peter Vermeersch received his PhD from the University of Leuven (KU Leuven), Belgium, where he is currently Assistant Professor in East European politics and Postdoctoral Research Fellow of the Belgian National Fund for Scientific Research. He is the author of several journal articles on minority politics and ethnic mobilization in Central Europe.